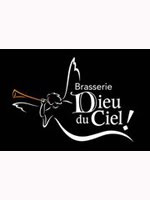 Dieu du Ciel to Host First International "Péché Day"
"In October 2001, to everyone’s delight, Dieu du Ciel created the Péché Mortel. For 10 years, this mouth watering beer, which affects all of our senses, has rejoiced our pallets, warmed our hearts, inspired our souls and made memorable each and every one of our parties. For 10 years, the Péché Mortel has been an essential staple in the diets of the waiters and waitresses during their time at Dieu du Ciel! That’s why we cannot keep this anniversary under wraps! We have long thought of hosting an international “Journée Péché” (Sin Day) where many bars around the world would celebrate the Péché Mortel. The tenth anniversary of the creation of this beer seems like the perfect opportunity to launch this event. Albeit a modest start, with only one event in Montreal, we’d nevertheless like to invite you the first international “Péché Day" (or, if you will, "Sin Day") to be celebrated"